Nepal is a country of the majestic young-fold mountains; the Himalayas. 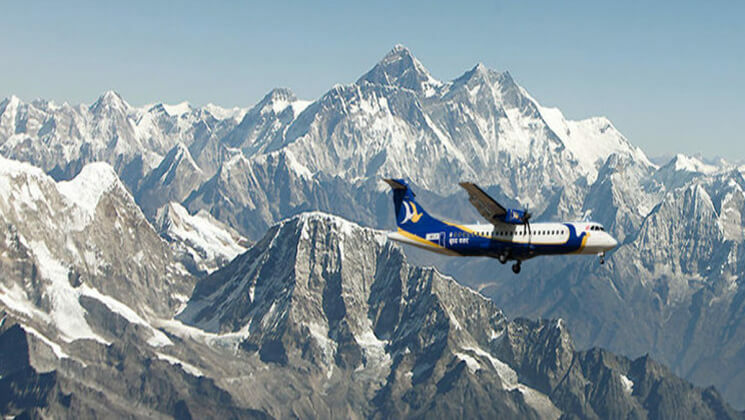 One hour mountain flights offer panoramic views of the mighty Himalayas. Small twin otter planes take off from Kathmandu airport in the early morning and head towards the eastern part of Nepal. Travelers are visually treated to glorious vistas including the summits of Sisha Pangma (8013m), Dorje lakpa (96966m), Chobabhamre(5933m) Gaurishanker (7134m), Melungtse(7023m), Cho oyo(8201m), Pumori (7161), Nuptse (7855m) among others. The highlight of the trip is a bird’s eye view of the mother of all mountains- Mt.Everest(8848m). Pickup Time:Pickup time depends on flight timing, we inform you 1/2 days earlier to flight date.